Invictus Specialities Inc. | General Starlight Company Inc.
We are able to supply the complete range of GSCI products. Below are a few examples of the awesome products they build. Please contact us for technical specifications, product brochures and pricing. 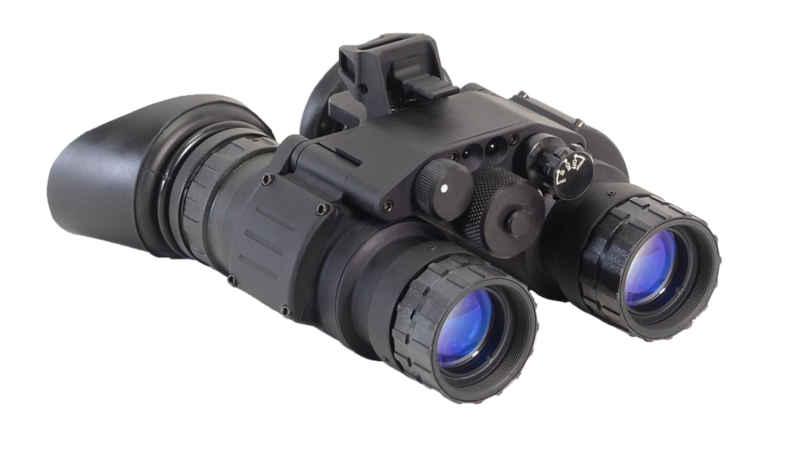 The GSCI-PVS-7 are the battle proven “single-tube, dual-eye” Night Vision Goggles-Binoculars. The PVS-7 has been the Military standard issue night vision goggles for over 40 years. The system has proven itself in combat thanks to its rugged, ergonomic design. The PVS-7 system has been designed to meet stringent MILSPEC requirements and can withstand submersion to 1m, and is resistant to salt, fog, humidity, altitude (over 5000 meters), cold weather, shock, and high temperatures. Using the best coated optics to enhance night-time performance, as well as the best I2 tubes, the GSCI-PVS-7 outperforms all other Night Vision Goggles on the market. The legendary PVS-14C is a great choice for conducting combat operations, including dismounted terrain navigation in extremely low light conditions. 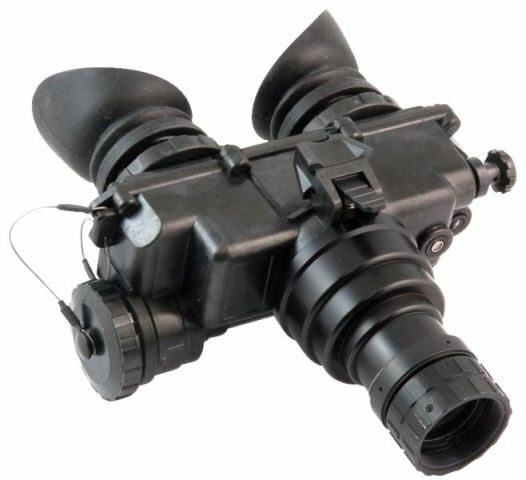 The highly versatile PVS-14C system can be used as a hand-held or hands-free single eye goggle, or as a night vision weapon system when coupled to a daytime close quarters battle sight. Lightweight, rugged and waterproof, the PVS-14C is a powerful performer for use in confined as well as open spaces. 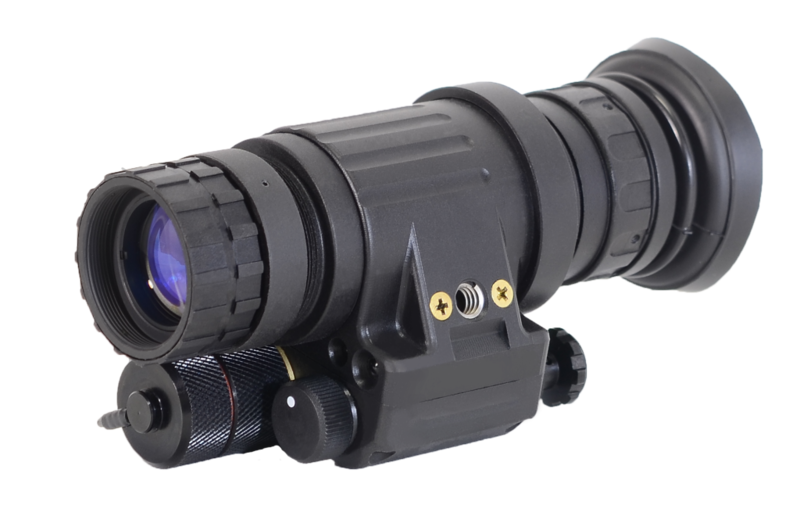 The PVS-31C-MOD is the modified and modernized dual-tube night vision binocular system from GSCI. Since its first introduction back in 2014, the PVS-31C until now has been widely regarded as a highly versatile, reliable and easy-to-operate unit. While retaining all the features that users valued in the PVS-31C, the new PVS-31C-MOD adds a more ergonomic design, coupled with improved functionality. It now accommodates more features such as a dedicated Instant-On-IR button. This enables a quick and momentary engagement of the IR illuminator without having to operate the switch. The connector located at the front of the unit is used to supply power to the unit from almost any power source: external battery pack, USB power bank, 12V car socket, and so on. These, and many other options, bring the PVS-31C-MOD to a new level in performance, functionality and value. The UNITEC-B family of commercially-available thermal bi-ocular systems is equipped with uncooled, shutterless thermal engines and a choice of 75mm or 100mm Germanium objective lenses. The UNITEC-B has a dual-OLED display system that designates one hi-res OLED display for each individual eyepiece, and has no moving parts. The UNITEC-B can be comfortably operated for prolonged viewing periods without eye strain. With a full aluminum enclosure, the UNITEC-B is an all-around professional thermal imaging solution for day and night-time operations that demand long-range observation capabilities. The WOLFHOUND is “the” full-spec thermal weapon sight available on the commercial market. Shooters and hunters can now enjoy the quality, reliability and performance of this unit, coupled with exceptional customer service, provided by the friendly and professional GSCI team. In additional to the bestselling WOLFHOUND-38 and WOLFHOUND-64 models, we have now introduced the game-changing WOLFHOUND L-Series, that feature much longer observation distances with the same great quality and features. Choose the WOLFHOUND thermal weapon sight if you don’t want to compromise.